I had some talent, and was given the opportunity that many women of my generation were denied. What did I do with it? ... I attached myself first to one famous artiste, namely Uday Shankar, and then to Prithviraj Kapoor, basking in their reflected glory as it were, having every performance and tour arranged for me without responsibility or hassle. I was too lazy to take on the responsibility of teaching or directing according to my convictions and experience... but I did get a little name, a great deal of experience and unlimited enjoyment in my work. These words are a pointer to what makes Close-Up such a likeable read, even when it meanders or tends towards stasis. If Segal had been a different sort of personality – more affected or self-important, or not so cheerfully pragmatic about herself – this book might have been an unreadable ego project. Even as it is, the impatient reader will have to overcome a few barriers before sinking into it, for this is neither the story of a woman who became a towering figure in her field nor a heroic tale about someone who overcame immense odds to carve a small niche for herself. However, it is something in between, and a reminder that we can learn much from the lives of those who brush against greatness without quite achieving it. Zohra Begum was born in 1912 to a life of privilege, being descended from nawabs and chieftains, and her quiet pride in her lineage comes through in a brief account of the family history. By the time she tells us that she went to Lahore’s exclusive Queen Mary’s College, founded for the “Aristocratic Ladies of Northern India”, a certain pattern has been established. The reader should understand that this is a young lady from a wealthy and liberal-minded family. We’re not expected to blink our eyes in surprise when she voices a desire (in 1929!) to be the first Indian girl pilot, then jettisons the idea and sets off on a long car trip to Europe (more accurately to Egypt, from where she takes the boat) in the company of an uncle and a mechanic – stopping at Quetta, Tehran, Beirut, Jerusalem and Cairo along the way; staying at the home of the religious head, the Mufti, in Baghdad; and eventually joining a dance school in Dresden, Germany. The unceasing adventure of her early life continues when she returns to India and joins the dance academy of the legendary Uday Shankar, eventually getting married to a much younger colleague (and a Hindu at that), Kameshwar Segal. The book’s midsection – and one of its more engaging chunks – is about her 16-year involvement with Prithvi Theatres, where she gained the acting experience that would serve her well when she moved to England in the early 1960s for more varied theatrical trysts. 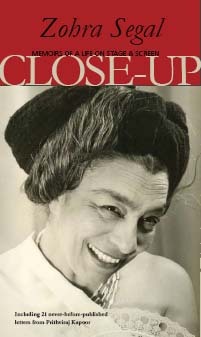 The jacket flap tells us that Close-Up is “a ringside view” of Segal’s life on stage and screen in India and England, which is an accurate enough description – but it’s equally true that Segal herself was the one with a ringside view of some noteworthy cultural movements of her time. Ultimately, whatever enduring value this memoir has will depend not on what it tells us about its author’s personal history but on the glimpses it provides of the times she lived through – the people, places and events that intersected her life. 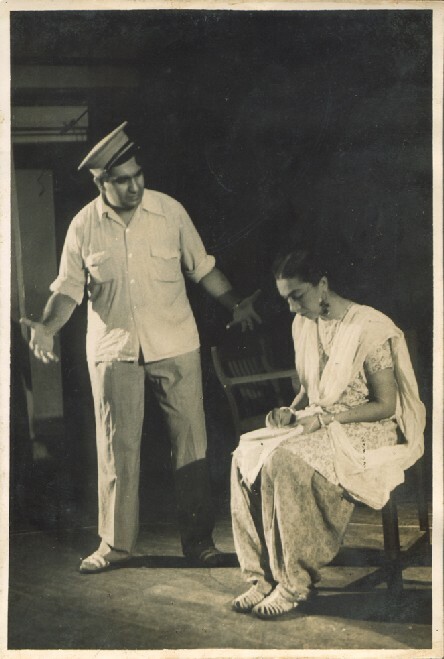 In the Prithvi Theatres section, for instance, Segal wisely gives herself a supporting role, electing to describe the production of some of the group’s seminal plays and the dedication of its founder Prithviraj Kapoor. Accepting tips the first time was a humiliating experience. With difficulty I put on a smiling face, but I let myself go in a flood of tears as soon as I reached home. All the Nawabs of Rampur and Najibabad must have turned in their graves that night! And yet, later, I began to look forward to the extra odd pound per week and even enjoyed the sensation of guilt which this recently acquired vice induced! At other times, she wonders whether her children think of her as a useless appendage, frankly proclaims her agnosticism – even at an age when many people turn to religion for comfort – and says that she’d prefer that her ashes be flushed down the toilet after her cremation rather than morbidly kept in an urn inside the house. All this is relegated to a listing at the book’s end, which creates a sense of incompleteness, but there’s also something endearingly appropriate about it. It’s as though a spry great-grandmother, after hours spent relating anecdotes from her life, suddenly waved you away because she’s been talking for too long and really must rest now; don’t you know how old she is? Great post, and I loved the ending. How true. I could almost see my own (now deceased) grandmother as I read it. 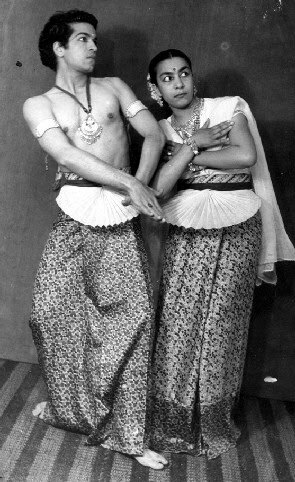 Second Sandhya. You brought the review to a very poignant end. Lovely! Reminded me of one of my neighbors who also lived a remarkable life. thanks, after reading this, I did a youtube search if there were any recordings of Zohra Segal (incidentally why is her surname spelled with an 'h' most times? )and had no luck. Did find out she was responsible for the very charming choreography for the film, 'CID'. 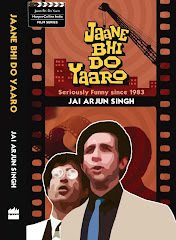 "All this is relegated to a listing at the book’s end, which creates a sense of incompleteness"
There was a similar sudden ending in Balraj Sahni's "Meri Filmi Aatmkatha". If I remember correctly, he lost interest in writing about his life after he had "made it" in the industry. Recently, that's about an year ago (but considering her age 'recent' is just another day), at a META theatre festival awards where she was the (wheel)CHAIRPERSON of the ceremony, she actually recited the whole of first stanza of 'Abhi toh mai jawan hoon' without any help. I wondered how she jogged her memory when she could not even walk physically.... But then life is stranger than fiction. May she live like that whatever years are left of her life, fulllll of life and zing. As is so typical of you, this short review imbues with the indulgent, playful charm that a grandson always retains towards his granny when he tries relating to so many of her colourful exploits and quite a few of her self-admitted gaffes to the outside world; the sharply discerning, ‘view-from-the-pulpit’ account is peppered with an empathy, an endearingly warm genre that easily invades into the core of the person, fleshing her out from all the glare and so many public layers... making her close and humane and loveable.